Today we have very welcome guest post from Jenny Alexander, who continues the discussion started by Nicola Morgan and Diana Kimpton on self-publishing. In recent posts, Nicola Morgan wrote: ‘Why I don’t want to self-publish again’ and Diana Kimpton: ‘Why I’ve switched to self-publishing’ - and both of them made points I completely agree with. I’m like the characters in the supermarket ad - ‘I like this one... but I also like this one!’ I’m just delighted that now we have a choice. I’ve got two books in the publication process at the moment, one with a traditional publisher and one that I’m publishing myself. 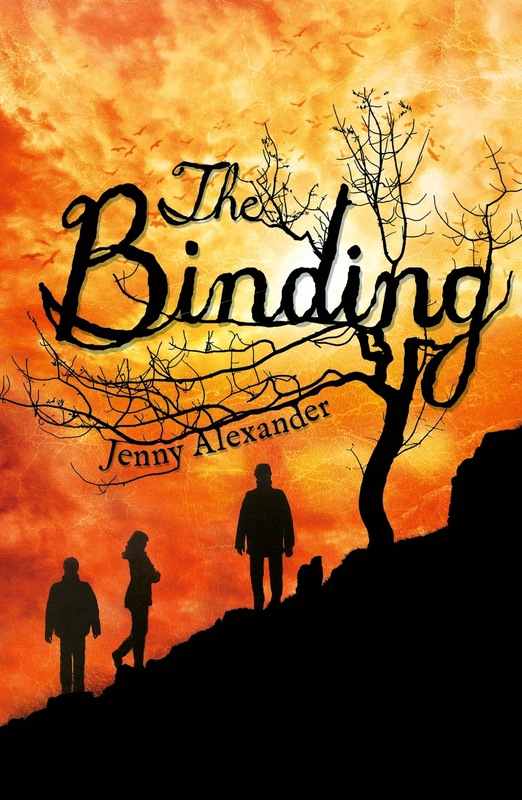 The Binding will be published by A and C Black, in February 2015. I’ve got a brilliant editor who loves the book – which is very affirming! I haven’t had to do anything except some light edits and help in choosing the cover. A team of top experts have taken care of all the design so I know it will be a top quality product. I’ve been paid an advance and will receive royalties. In an increasingly competitive market, there’s still kudos in being traditionally published. I won’t be completely on my own with promoting and marketing. My agent will be taking it to Frankfurt, seeking foreign deals. 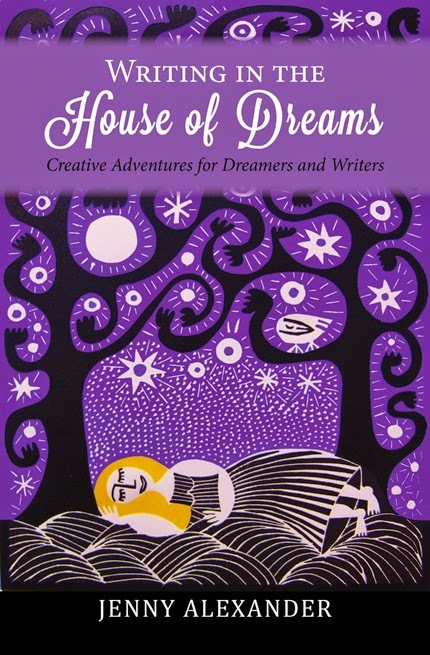 Writing in the House of Dreams will be published by Five Lanes Press (ie me) on October 15th 2014. I’ve had complete creative control. I’ve set my own publication date and chosen my own sales channels. It’s felt completely empowering to be able to give it a chance. Because it’s hard to get traditional publishers to take on books which don’t have mass-market appeal these days, experienced authors are increasingly turning to self-publishing for their hard-to-place and out-of-print books and therefore the self-publishing route is becoming more respectable. Self-published authors can join professional societies such as the Society of Authors on the strength of their sales figures, and submit their books for literary prizes. Self-publishing is no longer always the second choice, and I won’t be looking for a traditional publisher for my second book about writing, When a Writer Isn’t Writing. Here’s a sneak preview of the cover. I definitely hope to go on being traditionally published as well, but it feels a lot less difficult and soul-destroying trying to sustain a writing career in such a sales-driven market now that I know everything I write which is of publishable quality will be published, because I can do it myself. The very best of luck with both books. I was thinking you could copmpare how they do - but I guess that's not really valid, because they're different kinds of books. Still, it'll be interesting to see - you must report back! All of them have such wonderful covers! Did you create your self- published covers yourself? Self-publshing niche non-fiction seems a perfect match - your readers will find it because they're looking for a particular thing, and they are more likely to buy it because there won't be much competition. I think it's harder for general (non genre) fiction, where there is just such an ocean of self-published stuff I can't see how anyone makes money! But maybe it's a misperception on my part - after all, there's also an ocean of published stuff and it's getting pretty hard to sell that too! Hi Sue - I will report back! Hi Pippa - I found the images, negotiated with the artist for permission to use them, then handed them over to the cover designer. I'm delighted you like them :) Hi Cecilia - I think you're so right, and Nicola Morgan mentioned this difference in her post. I've got a YA novel to self-publish next year but the theme means it's obvious how and where to target readers, so I hope I'll be able to find some! Having done it once, I'm looking forward to the process of bringing more books to market. Your covers look fantastic. This will set you apart very well, Jenny, and nd I will definitely be buying them! Specialising in a specific genre/subject seems to be the way to go with self-publishing, to try to avoid the tsunami of untargeted stuff out there. Good luck, Jen, and I wish you enjoyment and success! You deserve both. Thank-you Moira - the covers were the hardest part for me, because I'm not great at decision-making! And woohoo Heather - my very first sale!! I hope you enjoy reading it. Hi Nicola - huge thanks again for reading the MS, giving me a quote for the front page and mentioning my book in your Brainsane newsletter - which is a cracking read, btw. They all look fabulous, Jen! very heartening on all counts! 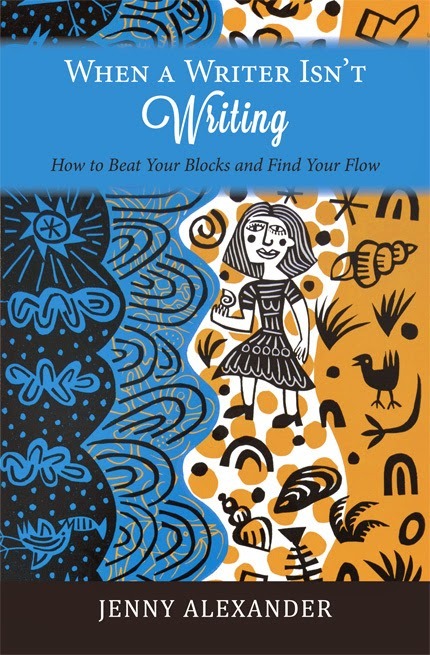 All those covers are brilliant Jenny, and I'm sure your writing books will do well as ebooks - and you might be pleasantly surprised at the income level. As a rough guide, I reckon 100 self-published ebook sales at a list price of £2 are equivalent to 1000 sales via a publisher at a list price of £7. Wishing you lots of luck with all the books, and I'm off to get the House of Dreams right now!